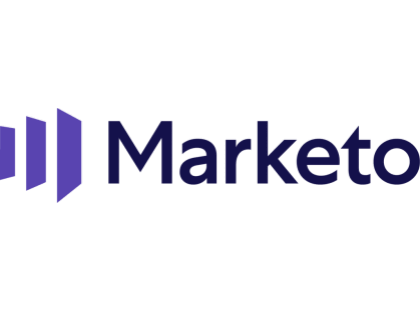 Marketo is marketing automation software by Adobe. Marketo empowers marketers to grow revenue, build brand value and prove impact. Marketo is used by thousands of CMOs. This platform is easy for marketers without technical skills to use. Pros: Enables you to design landing pages and high-quality emails for your campaigns. Native integration with Microsoft Dynamics and Salesforce. Feature-rich. Cons: Not that cost-effective for small businesses. Bottomline: Enables you to grow your brand and increase revenue. What is Marketo's price range? Marketo will cost your business between $1,195.00 and $11,995.00 per month according to SMBGuide research. Marketo does not provide pricing information on their website. Is there a Marketo free trial? Marketo does not offer free trials, but they do offer free demos. Where can I find the Marketo login? Visit www.marketo.com and log in at the top right of the page. What are some Marketo alternatives? Marketo is not transparent with its pricing at all. It refers to "bundles" for each feature. However, the basic price is something around $895.00/month for the Basic plan. It includes customer engagement engine, lead scoring, lead segmentation, lead nurturing, SEO, emails, landing pages, forms, social media marketing, events, webinars, A/B testing, sales intelligence, CRM integration, campaign dashboards and reports, and marketing calendar. I, for one, found Marketo pretty costly. Secondly, after having used Marketo, I felt it is heavily inclined towards emails. For a startup or SMB, I don't find Marketo budget-friendly at all. Large enterprises often opt for customised pricing plans, which might make Marketo reasonable at the end of the day. SMBs look to leverage their digital medium with cutting edge solutions. They need cost-effective solutions that can give them robust campaigns, brand presence building, and lot more engagement for better conversions. In such scenarios, Aritic PinPoint is the most optimal solution that I have used. The highlight, for me, was the multi-channel marketing approach. I could schedule SMS campaigns, drip push notifications, emails—all at the same time and within the same application. Add to that intuitive landing pages with smart web forms, progressive profiling, and gated video—simply makes lead generation lot more easier. Aritic PinPoint is ideally designed for SMBs. You will find various options to launch automated drip email campaigns and re-engagement campaigns, trigger behaviour-based segmentation and marketing campaigns, and boost the overall marketing ROI. Features like lead scoring and lead management makes it easy to know which leads are most active. Based on their activity and engagement, you can launch account-based campaigns as well. Aritic PinPoint acts as the perfect bridge between your sales rep and marketing team. And we all know how marketing-sales alignment contributes to more lead engagement and conversions. The pricing starts at $19.00/month for 1,000 contacts. Take a look at the pricing plan here. Take a quick demo to believe me or sign up for a free account now. PS: For up to 500 contacts, it is free forever. Hope this helps. So my company recently switched from Marketo to Pardot because we added Salesforce, and supposedly the integration was better with Pardot. From my perspective, Pardot can't do a lot of the things that Marketo was able to do for me. In terms of complex user journeys, I think Marketo is a much better solution. If you can provide any more detail on what you're trying to accomplish, I can give you a bit more insight. Don't waste your money on Marketo. Unless you're using the analytics, lead tracking and other features, its not worth it. Go with MailChimp and save yourself $2k month. Been using Marketo for a few months now. Its garbage.